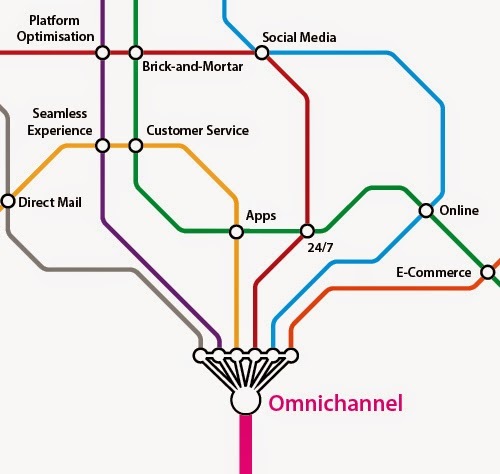 At present retailers are increasingly looking into implementing omnichannel retail strategies in order to create a better experience for their customers. These strategies help not only with sales revenue but they let the customer do whatever they need to do throughout their shopping experience no matter what device or platform they are on. This creates an easier and more efficient way for the customer to shop. An omnichannel strategy that is becoming more popular with retail decision makers is the advancement in mobile capabilities. Retailers are increasingly looking into ways that they can interact with their customers through online platforms which can be accessed through smart phones or tablets. Some online sites include a feature that lets the shopper interact with a stylist to help choose products dependent on the customers likes and dislikes. This kind of service can normally only be found in a physical store. For example Nordstrom acquired Trunk Club, the personalized clothing service which meant shoppers had clothes hand selected by stylists and sent straight to their door with no shipping costs. A service like that in a world where working hours are getting longer and customers are increasingly looking online to shop means that a better online relationship with customers can yield higher revenue sales. Nordstrom experienced a 6.2% increase in sales after their acquisition of the Trunk Club. By creating an omnichannel retail experience, shoppers can still have the same experience they might expect in store whilst on the move on a tablet, laptop or smartphone. In store, mobile advancements are creating more efficient shopping experiences for customers. Store associates are often equipped with iPads or other tablets and can walk the isles and interact with customers. This gives them the ability to look up stock numbers on the spot, order in from other stores to cater for the customer’s exact needs or in some cases pay for the products then and there. This makes the shopping experience a more fluid and efficient process. A recent app powered by Pick’n’Tell for Alfred Angelo bridal company has recording mirrors in store which allows brides to record or take pictures of themselves in the dresses they like. These images or videos then are immediately sent to the consumer’s smartphone which allows the shopper to be able to take the time at home to review the best option and can then buy it easily online. The app can also be used to choose dresses online which will be ready for them on arrival at the store. This creates a seamless customer experience across the digital and physical shopping world. This ability to create an easier and more personalized shopping experience is increasingly becoming the key in retail strategies. By using omnichannels, companies are able to give the customer a more unique and efficient retail experience which will keep them coming back and thus increasing sales revenue. 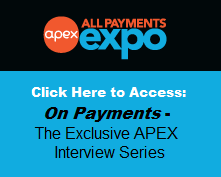 APEX is where retailers can leverage payments technology for their strategic roadmaps, including boosting in-store visits, basket sizes, conversion and more. At APEX, technologies deploy mobile capabilities, loyalty, closed-loop currencies, wallets, acceptance devices that drive these strategic objectives. Retailers will scrutinize the latest technology alongside their peers and discuss the challenges and feasibility of implementation. 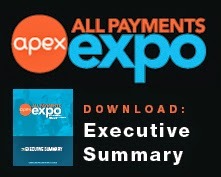 Join us February 23-25 at All Payments Expo where a new tailored Omnichannel Retail Payments Forum with content built for merchants' strategic executives, exploring how payments-backed technologies are impacting retail. Functions include: Corporate Strategy, CIO, IT, E- and M-Commerce, Finance, Treasury, Payment Services. Download the complete agenda here to see full session details. Prices increase this Friday! Register now with the code XU2848BLOG and save $200!